Joanna Simons has a background of senior leadership in the public and voluntary sectors, having previously been Chief Executive of two local authorities and a national charity. She spent ten years as Chief Executive of Oxfordshire County Council and has a love of the county’s heritage and tourism offer. 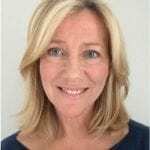 She is now an independent consultant and coach specialising in change management in the third sector, and regularly chairs cross sector leadership programmes in a voluntary capacity. John Hoy created Hoy Consultancy – an independent heritage consultancy service – with effect from May 2018 and he will be looking to work with clients within the heritage, leisure, and tourism sector going forward. Prior to setting up Hoy Consultancy, John was an Equity Partner and Head of Rural with Bidwells LLP and before that John had been Chief Executive of Blenheim Palace from early 2003 until the end of 2016 – much progress had been achieved during his time there in order to refresh the business and the Estate. Before arriving at Blenheim Palace, John worked for The Tussaud’s Group at Warwick Castle and at Madame Tussaud’s in London and prior to that he had 13 years running the Knebworth Estate in Hertfordshire and 5 years working on the Goodwood Estate in West Sussex. He is a Member of the VisitEngland Advisory Board and also sits on the Tourism & Commercial Development Committee for the Historic Houses Association. Helen Morton read Engineering at New Hall, Cambridge, trained as a civil engineer and worked on the Thames Barrier before moving to BP to work on offshore oil platform projects in the North Sea, refineries in Europe and Australia and various corporate roles, including Company Secretary for BP Oil. 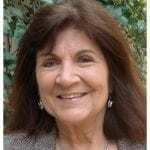 While at BP, she completed a part time MScBA with Boston University. She left the oil industry in 1992 to work in the charity sector, including VSO, Marie Stopes International and 5 years as Finance & Administration Director at Trinity Hospice, London. In 2000, she moved to Oxford to become the Treasurer (Finance & Estates Bursar) at Somerville College, Oxford. She took early retirement at the end of 2012 to give her more time to concentrate on her musical and outside interests. These include being a Director of Experience Oxfordshire and Experience Oxfordshire Charitable Trust, a Trustee of the Oxford Radcliffe Hospitals Charitable Funds, a Governor of Oxford High School and of Pipers Corner School and a Trustee of the University Women’s Club. 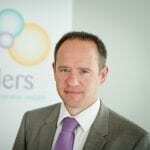 Richard Rosser has been Chief Executive of The in Oxford Group for ten years and publishes local titles such as Living In Oxford Magazine, B4 Business Magazine and The Oxfordshire Restaurant Guide. The group also run The Oxfordshire Restaurant Awards, now in their 6th year, Business in Oxford, in its 3rd year. Richard graduated from Southampton University and trained as a Chartered Accountant with PwC (formerly PriceWaterhouse) in London. Richard was educated at St Edward’s, Oxford and Exeter University where he gained a Geography degree. He commenced his surveying career in 1989 at Gerald Eve in London. He joined James Offen and Partners in 1993, moving to Savills in 1998. 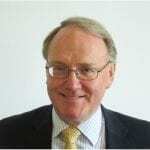 Richard has considerable experience in office, industrial, retail, development and investment agency work. Richard dedicates considerable time and energy to economic and cultural development in Oxfordshire. He is a private sector board member of the Oxfordshire Local Enterprise Partnership, a board member of Experience Oxfordshire, chair of Reciprocate (Oxfordshire’s responsible business network), a member of the Ashmolean corporate circle, joint chair of the Oxford City Council Economic Growth Steering Group and a member of Oxford Strategic Partnership. Richard is also a newly appointed Deputy Lieutenant for Oxfordshire and outside work he is a hockey fanatic both playing and coaching at Oxford Hawks Hockey Club. Miranda joined the Operations team at SBM, an oil company in Monaco in 1980. 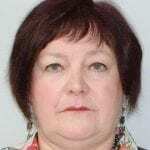 She took up the role of Operations Manager at Ingram Tampimex Oil brokers in Monaco in 1983. On her return to the UK, she ran the French property desk for Prudential International in London from 1986 to 1989, before setting up her own business selling property in France to UK residents. She joined French retail company Everstyl in 1992 as their UK Manager and established their operations in the UK. Miranda joined Value Retail in 1995 as Deputy Centre Manager at the inception of Bicester Village. For the last decade, Miranda’s primary focus has been as Community Relations Director for Bicester Village, developing a CSR programme, handling regional PR and assisting with planning and development projects, including the most recent expansion of Bicester Village, scheduled to open in 2017. She represents Bicester Village on a number of committees and steering groups as well as being a member of the Executive Board of Bicester Vision and Bicester Chamber of Commerce. She has been a Deputy Lieutenant of Oxfordshire since 2008. More recently, she has become a Director of the boards of two Destination Management Offices, Experience Oxfordshire and Shakespeare’s England as well as a Trustee of Oxford Brookes Student Union. Miranda lives in Oxfordshire and is married with two children. In her spare time, Miranda is an oil and watercolour artist. 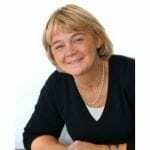 Cllr Lorraine Lindsay-Gale is Oxfordshire County Council’s Cabinet Member for Property, Cultural & Community Services. These include the Library network, the Museum Service, the History Service and the Music Service. Born and bred in Oxfordshire, after having studied Politics, Economics and Law at the University of Kent, Lorraine worked as an advertising copywriter before deciding to embark on a second career. She gained a BA Hons in Archaeology at the University of Reading, specialising in Mesopotamia 4,000 BC – 2,000 BC. This was followed by a Diploma in Professional Archaeology at Kellogg College, Oxford. She joined Oxford Archaeology, a local archaeological practice working with national and international clients. Her last position there was Corporate Communications Manager. In 2009 Lorraine was elected to the Dorchester Division of the County Council, was re-elected in 2013 to the renamed Division of Berinsfield and Garsington and again in 2017. Her particular interests include protection of the environment and conservation of our heritage. Her main hobby is screen writing (a recent semi-finalist in a worldwide competition). Debbie Dance has been the Director of Oxford Preservation Trust since 1999. She was brought up locally and has spent her career in the built and natural environment working as a chartered surveyor in the commercial market before being awarded a distinction in her MSc Historic Conservation from Oxford Brookes University. She has worked in London, Birmingham and Oxford, and has completed a number of award-winning conservation projects including OPT’s regeneration of Oxford Castle. 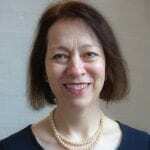 Debbie has held a number of honorary national roles and is currently Chair of the Historic Chapels Trust, and a Trustee of the Oxford Historic Churches Trust as well as the Oxford Playhouse. She has been past Chair of the Historic Towns Forum, UK Association of Preservation Trusts and a former Trustee of the Churches Conservation Trust, Heritage Lottery Fund South East and conservation judge for International RICS Property Awards. Debbie was awarded an OBE for her services to Heritage in 2013. Dominic Hare was born in Liverpool but at 18 came up to Oxford to read Jurisprudence at New College. After qualifying as a Chartered Accountant with KPMG, he spent the next ten years in corporate finance and investment banking, specialising in the media and telecoms sector. He is proud to have helped DJ Chris Evans buy Virgin Radio but also to have helped Bob the Builder buy both Thomas the Tank Engine and Barney the Purple Dinosaur. A degree in Mechanical Engineering from Imperial College was followed by qualification as a Chartered Accountant in London with what is now KPMG. Auditing the American University and Hospital in Beirut in 1977 was a particular highlight. Moving into industry Chris joined the head office of EMI in 1978 in the heydey of the CT scanner and Kate Bush. Leaving EMI after it was taken over by Thorn led to a 25-year career as a Finance Director in the construction services, construction and facilities management sectors. Hire, sale and contract supply of equipment internationally with SGB; Group Finance Director of Eve Group plc, a specialist contractor in telecoms and power networks, listed on the London Stock Exchange; facilities management with Balfour Beatty plc involving public and private sector clients, and including the operation of PFI contracts. 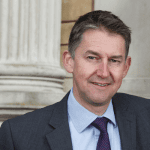 In 2006 Chris joined St Anne’s College at the University of Oxford as Treasurer and Finance Director and steered the College through significant change leading to improved financial performance and successful building projects. He retired in 2016 and is now an Emeritus Fellow. Chris was born in Lincoln and includes wood and wine in his interests. Ian is the Head of Community Services at Oxford City Council, where he has been in post since 2008. 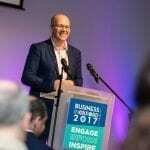 Ian’s remit includes Culture, Tourism, Sport, Leisure, Parks, Communities, Community Safety and Community Facilities. He is the sponsor for a number of capital projects including the redevelopment of the Museum of Oxford. Prior to Oxford, Ian worked for two unitary councils, for private leisure operators and he has also worked in the third sector; this practical experience is supported by academic study. Ian is also the chair of the Cultural & Leisure Officers Association (CLOA), which is the professional association for strategic leaders managing public sector Culture, Tourism, Arts, Heritage, Libraries, Parks, Sport and Leisure Services. CLOA is a national association covering England, Wales and Northern Ireland. 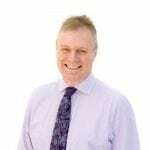 Ian is the officer lead on the Local Government Association’s Culture, Tourism and Sport Board.